With the depletion of nonrenewable energy sources and the increase of pollution, researchers have turned to finding ways to harness clean energy from cheap alternative sources. Researchers at The University of Toledo have recently focused their investigation in the area of perovskite solar cell technology. 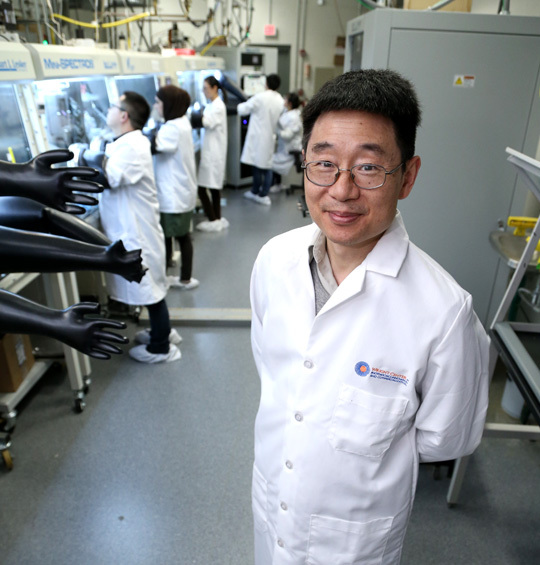 Dr. Yanfa Yan and his team make perovskite solar cells in the lab. Their research revealed a world record efficiency (low-bandgap) for the conversion of sunlight to electricity. Perovskite is a compound material with a special crystal structure, according to Dr. Yanfa Yan, Ohio Research Scholar chair and UT professor of physics. 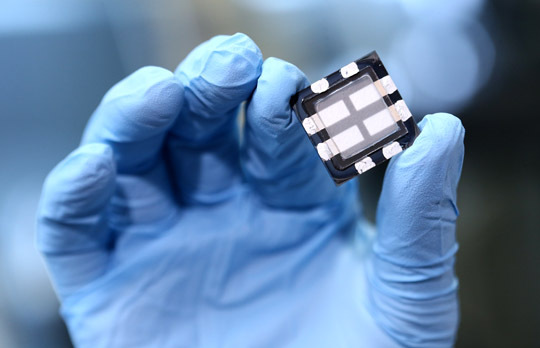 Current conventional solar cells are made out of materials such as silicon, a material more expensive than perovskite solar cells. Yan explained that his research combined theoretical and experimental approaches to understand the fundamental mechanisms of the limitations of the perovskites and to develop processes and design new materials to overcome the limitations. “Our ultimate goal is to help improve the energy conversion efficiencies of photovoltaic cells and solar fuel devices,” Yan said. Dr. Yanfa Yan’s all-perovskite tandem solar cell combines two different solar cells to increase the total electrical power generated by using two different parts of the sun’s spectrum. He and his team did just that. In fact, their research revealed a world record efficiency for the conversion of sunlight to electricity in the area of perovskite solar cell technology using less toxic lead as well as demonstrated a concept for producing an all-perovskite tandem solar cell that can bring together two different solar cells to increase the total electrical power generated by using two different parts of the sun’s spectrum. “We reported a method that can easily be followed by other researchers in the field,” Yan said. The research has been published in the journal Nature Energy. This entry was posted on Wednesday, April 19th, 2017 at 3:59 am and is filed under Natural Sciences and Mathematics, News, Research, Research, UToday .